One of my favorite couples is tying the knot today. I'm so excited to capture their love story this afternoon. 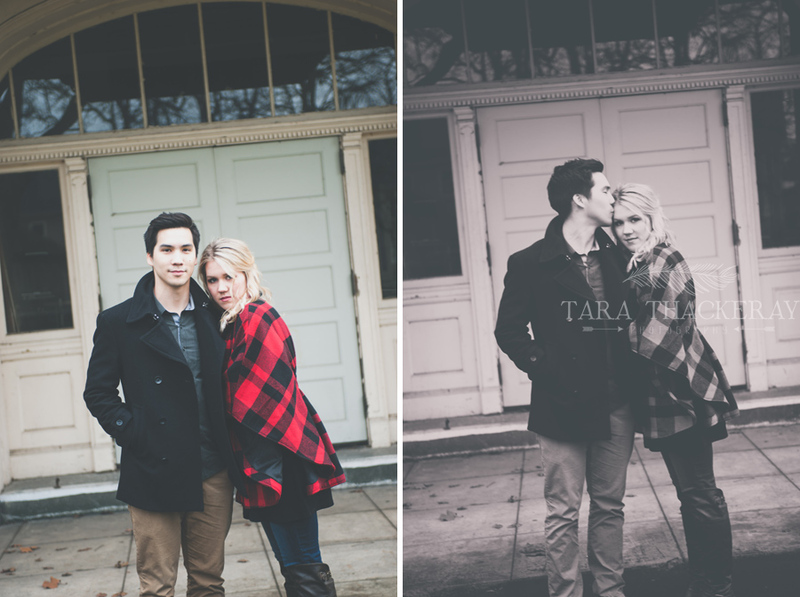 Here are some of my favorites from their engagement session in Vancouver,WA and Portland, OR. Vancouver finding little spots here and there to take these shots. I always enjoy working Bridgette. She's been a friend and client since 2009. Congratulations to Bridgette and Tony today! Shout out to Sammy's Flowers in Portland. They have such an adorable little flower shop and the ladies were so nice when we came in. Another Shout out to Torque Coffee Roasters for their awesome coffee, friendly staff and funky furniture. Best coffee in town for sure. It's a great place to warm up during a cold shoot. These two are so cute! I can't wait to photograph their wedding on this beautiful sunny day today! Tags: Wedding and Portrait Photographer, Vancouver WA, Portland OR, Engagement Photos, Wedding Photos, Portrait studio, Wedding Photographer Vancouver WA, Vancouver WA Photographer, Torque Coffee, Tara Thackeray, Sammy's Flowers, Fort Vancouver, Portland Wedding photographer, Wedding photographer Portland OR.